Living in the environmentally conscious age we live in really inspires each of us to think outside the box. Granted we have always been taught to go green, recycle and not to ever waste water…but who knew that 70 year old barn my grandfather built would be worth so much money…torn down that is. 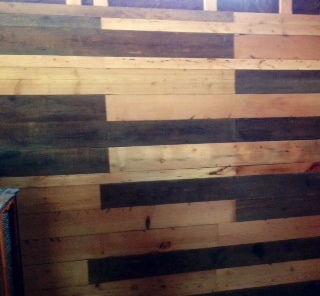 Reclaimed wood is one of the many ways designers and architects are thinking in a sustainable format. Essentially, the wood found in barns, snow fences, and other outdoor buildings that have stood the test of time have a proven record of sustainability and are still ready for good use. Cedar and cypress wood are a few of these hearty materials that are being used in a myriad of ways. Known as “Reclaimed Wood”, this natural resource is extracted, de-metaled, cleaned and sometimes treated if necessary. 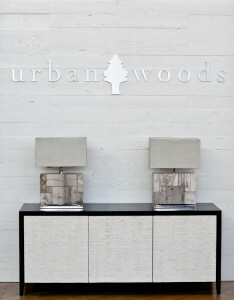 The wood can then be used for the exterior of the home, interior walls, stair cases, art and furniture. The Jigsaw Designers like mixing the rustic look of vintage wood into a modern home giving it new life, for example installing a reclaimed wood wall with polished concrete flooring giving a new twist and added interest and texture to the home. A formal dining room can be given an earthy warm feel while still being perfectly proper and luxurious when adding a reclaimed wood dining table. Combing old with new brings a vintage-fresh feel and cozy familiarity to your home. While at one time being hard to come by, reclaimed wood can be found easily from a variety of resources on the internet. One of our favorite operations is called Trestlewood based in Utah and Idaho. The cost of recycled lumber varies, and in an “as is” condition will be more expensive than new, green lumber. 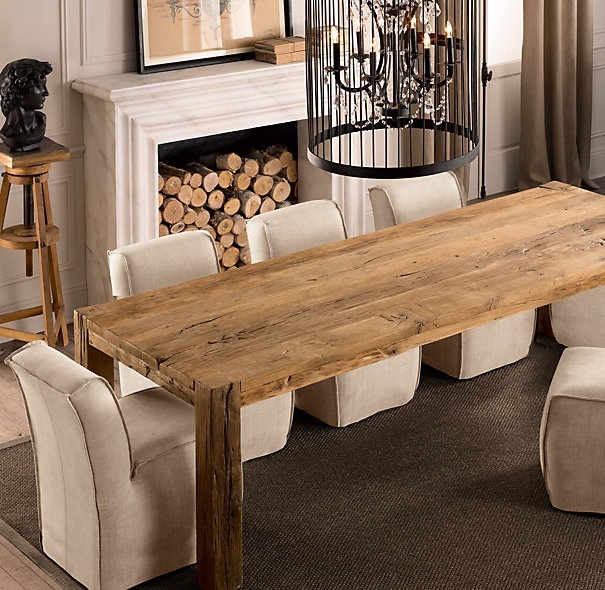 While furniture is quite diverse in quality, style and price, it can be found through small custom mom and pop operations to chains like Restoration Hardware. 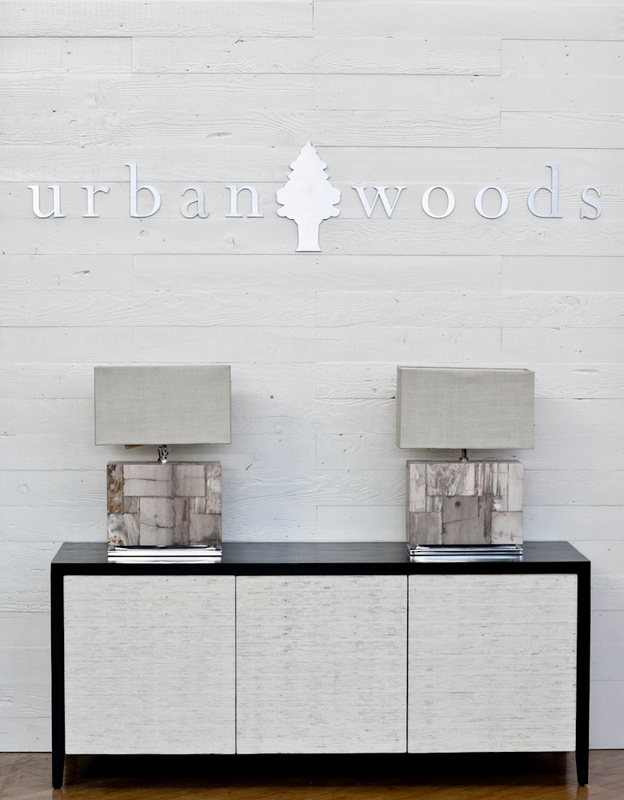 We love this gorgeous sustainable credenza by Urban Woods LA included in the photos below. 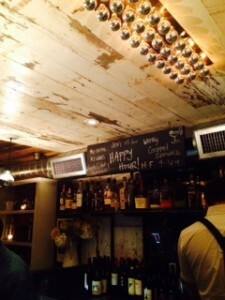 Also on the rise, sustainable restaurants are a trend we are seeing a lot more of. The Jigsaw Designers remodeled the local LA eatery, Fatty’s Public House, and installed a unique reclaimed wood ceiling and eye catching wood interiors throughout as seen in the photos below. Using natural and reclaimed materials is a trend that we know will evolve as these things do, but buying sustainable and reusing will never go out of style. No trees were harmed while writing this blog. For more information on reclaimed wood and resources visit the contact page on the Jigsaw Design Group website at www.jigsawdesigngroup.com. Someone will quickly contact you with more information. Please subscribe to the blog for more informative articles like these, and check out our Facebook page for more tips and images! Be sure to ‘like us’ on Facebook! The modern day photo wall isn’t your traditional grandmother’s brag wall anymore. When selecting the right frames and using a fresh layout, you can create a work of art. We’ve mapped out some simple steps to make what seems like a daunting process enjoyable. The first step of course is selecting some initial photos that you want to frame. The Jigsaw Designers suggest mixing black and white images with color to not limit your use of vintage family photos with your most recent ones. Next step is choosing an overall theme for your frames. 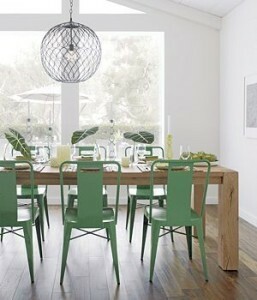 Selecting a look that matches your style or something you’d like to compliment in your home for a cohesive look. The Jigsaw Designers recently installed a picture wall with all white high gloss frames mixing baroque, arabesque and simple style frames. The inspiration came from a trendy local hotel and perfectly complimented the existing white wrought iron and cabinetry in her home. Being limited on photo display space the result was a fresh modern art wall where the client could enjoy her much loved family photos every day. 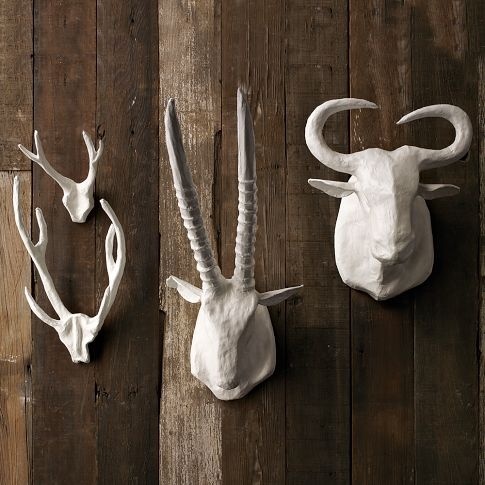 Next, we recommend mixing in other elements into your picture wall to add depth and dimension. A fleur d’lei, family initial, or even your child’s artwork are great ways to add variety to your wall and express your personality. Once you selected all of your elements, it’s time to design the layout. 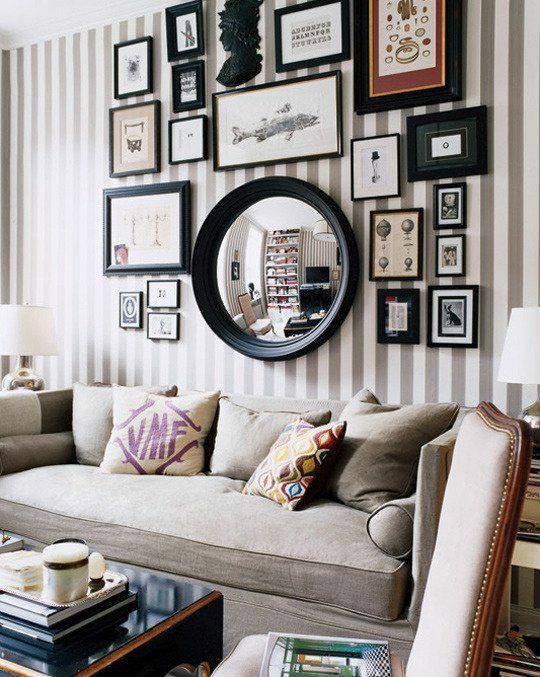 The best way to start is simply take all your art wall pieces and create a layout on your floor. Move pieces around until you are satisfied with the flow. If it’s tough to get started try roughly sketching out the frame shapes on paper and gently taping them to the wall. Then move on to a mock layout on the floor to see what the finished look will be. Once you’ve selected your layout you are ready to install. You will need to use picture hangers for installation and a measuring tape to space all the elements precisely. For a really crisp look, we recommend using a bubble measure to ensure the elements are perfectly straight. Lastly, step back and admire your work of art. The modern day photo wall can be installed in any home or office, regardless of the overall style of the space. 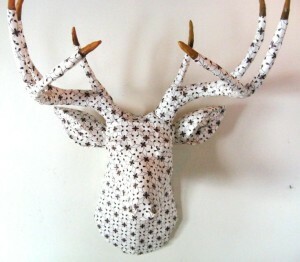 It can add warmth and coziness to any room and make you feel surrounded by loved ones. Whether you choose to make a photo wall with family photos or landscapes and artwork, following these steps will help you create a statement wall for you to be proud to display. For more information on photo walls and resources visit the contact page on the Jigsaw Design Group website at www.jigsawdesigngroup.com. Someone will quickly contact you with more information. Please subscribe to the blog for more informative articles like these, and check out our Facebook page for more tips and images! Be sure to ‘like us’ on Facebook! Metal and metallic hues have fluctuated from gold to silver, chrome to brass for decades. 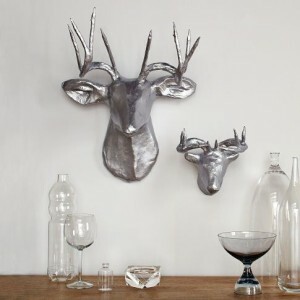 Well, there’s a new trend in metal making waves in interior design. Made up of a mixture of gold and copper, Rose Gold has made its way from the jewelry market into home and commercial interiors. Rose gold is THE color in metallic this season and it is welcomed with its warm color and soft feminine glow. 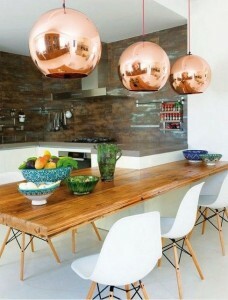 Capture the trend without overdoing this look by adding a few rose gold accessories to any room. However not being the easiest color to find, light fixtures, mirrors, candelabras and throw pillows are quite readily available. Try adding a few pieces to spruce up a room that is all neutrals. It looks beautiful with hard wood floors, and pairs well with virtually any color. We especially love Rose Gold with white, blush, burgundy, cream, navy and purple. If you have other metals prominent in your space, try the fresh look of multiple metals mixing rose gold, yellow gold, and silver. This look is very strong in the jewelry world and is naturally trending into interior design. If you are a skeptic about this trend lasting, do it yourself with Rose Gold paint which is available everywhere. Spray an existing vase and try the trend before you invest. Jigsaw Designers recommend experimenting with Rose Gold. 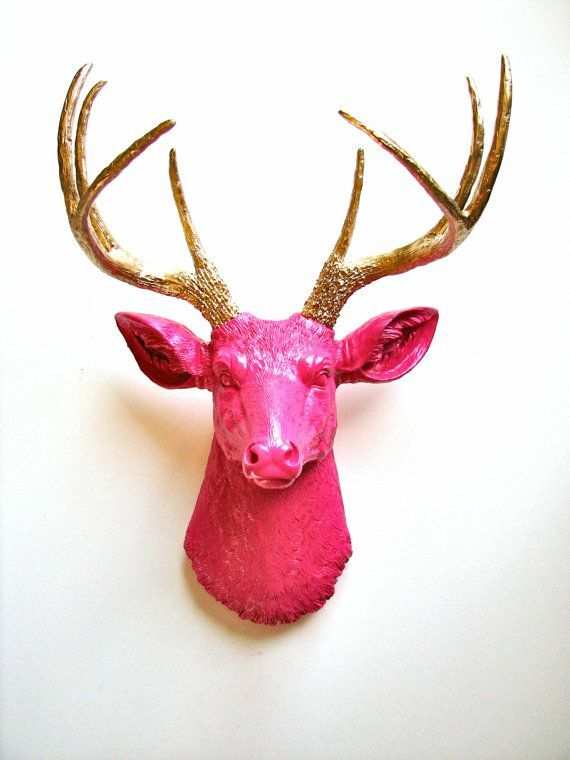 This precious metal will give any room a fun updated look with a gorgeous glow. For more information on rose gold color trends and resources visit the contact page on the Jigsaw Design Group website at www.jigsawdesigngroup.com. Someone will quickly contact you with more information. Please subscribe to the blog for more informative articles like these, and check out our Facebook page for more tips and images! Be sure to ‘like us’ on Facebook! The living room is truly a special place. It is the gathering place for family and friends to spend time playing games, watching sports or simply taking time to visit. This space serves as a comfort zone for everyone in the family to relax as well being a statement room of who you are when welcoming guest. Much like the approach of the bedroom interiors, our designers will bring the client’s personality to life while making it special for everyone to share. Combining masculine and feminine touches to the living room can give the room a universal mood and make all who enter feel at home. Jigsaw’s experienced team will bringing personality to your living room, and find the right balance for the entire family to enjoy. Lounge in with the finest knowing your time is well spent. For more information on living rooms that fit your life and style, plus great resources visit the contact page on the Jigsaw Design Group website at www.jigsawdesigngroup.com. Someone will quickly contact you with more information. Please subscribe to the blog for more informative articles like these, and check out our Facebook page for more tips and images! Be sure to ‘like us’ on Facebook!